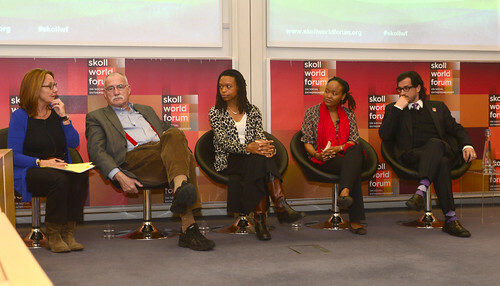 MBA student Grace Lam gives us a vivid account of “Closing the Gap:Tackling Global Health Challenges, health ” a panel at the Skoll World Forum. 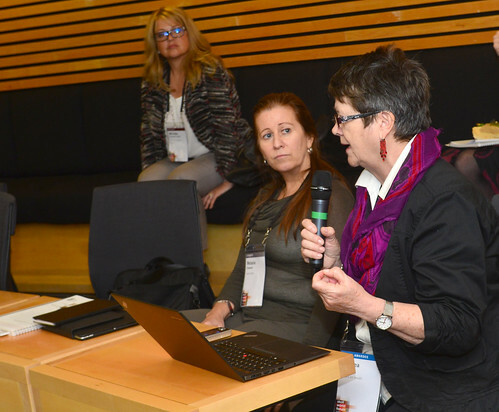 With an audience filled with seasoned global health experts, there’s not much the “Closing the Gap: Tackling Global Health Challenges” panelists could say to shock their audience. Non-communicable diseases (NCDs) and mental disorders have been underfunded and largely neglected due to the widespread focus on malaria, TB, and AIDS. Sure. Less than 25 cents per person per day is spent on mental health. Unfortunate but familiar. There have been huge successes in the millennium development goals, especially since the country with the biggest improvement, Rwanda, was measured with its pre-genocide 1990 baseline. Impressive and noted. What did garner a response, however, was Chris Underhill’s candid memory of his own childhood experience with mental health. As a 12-year-old boy, he had a mental health episode that required treatment. The British hospital naively thought the illness could be transmissible, so they placed Chris in a ward where the only other patient was one with an iron lung. The six month recovery period “was like living with Darth Vader”, recounts Chris. Though Chris’ jocular comment evoked a lively chuckle from the audience, his unfortunate treatment reminded us of the perils of erroneous healthcare decisions and our own responsibility to deliver not only efficacious but also ethical care. Anything less could become another’s Darth Vader. Chris’ story provided the perfect segway into a discussion of the shortcomings of today’s global health delivery systems. While most agreed more resources should be devoted to the treatment of NCDs and mental health, one critic questioned whether the disease-centric approach was appropriate or whether this approach only treated the symptoms while neglecting the underlying pathology of an inadequate organizational structure for delivering care. Regardless of the opinions of the feasibility of such an approach, all agreed that the structure need to expand diagonally to integrate more disease states and delivery personnel such as community health workers. As if anticipatory of the audience’s call for improved systematic change, Peter Drobac distributed copies of “Delivering Health. Care Redefined.” – a working paper on current successful expanded healthcare business models, and encouraged us to improve and expand on it. And so, with celebration of some successes and the weight of ever more challenges, we disbanded, each renewed with their own campaign to free global health from the grips of Darth Vader.